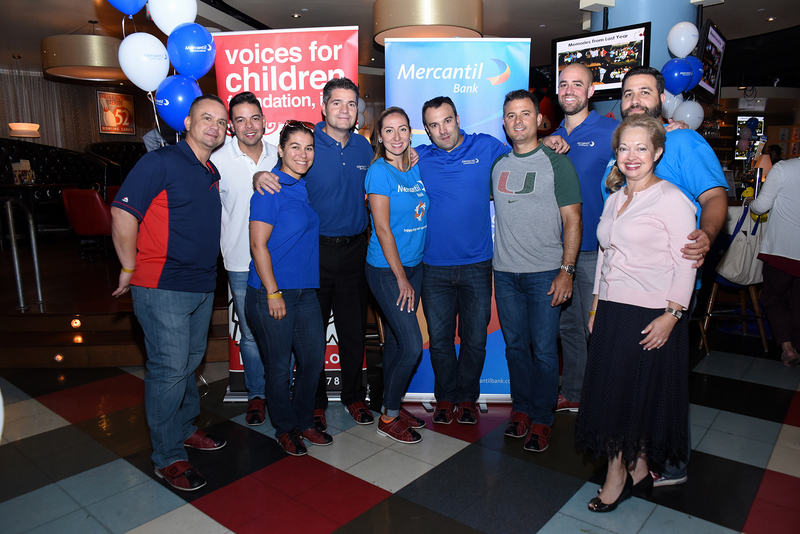 This past Wednesday, June 7th, Voices For Children hosted it’s annual “Strike Out Child Abuse” Bowling Tournament at Splitsville Lanes in South Miami. Over 200 members of our community including business professionals, Guardian ad Litem volunteers, and their families, came out to enjoy a night of fun while raising funds for Miami-Dade County’s abused, abandoned and neglected children in foster care. During the first hour, the lanes were open to over 100 children who celebrated their last official day of school at the event. It was a high-energy start as the kids bowled the night away and then collected their ribbons and trophies. After the excitement subsided, it was the adult’s turn. This time, guests relaxed and bowled a few frames as they sipped cocktails and enjoyed delicious appetizers throughout the night. As they have done for over five years, Mercantil Bank generously sponsored this event and in the end, they won the 1st Place Trophy by a small margin over runner-ups Marlins Foundation. If you’d like to help us strike out child abuse, please donate and mark your calendars to join us next year!